Over the past few nights I’ve been quite busy with a personal project. 48 hours ago I set myself a little challenge of making a small clip using random Japanese footage, seeing as it just sits in iPhoto getting old I thought I can share it with you guys. Last night I spent the night reading and watching videos on Youtube on Final Cut Pro tutorials to try and get my head around the basics. I have to put it to videographers, cutting and editing a clip is a whole different ball game. After converting all the footage to Prores 422 and importing it into FCP I began cutting up footage and matching it with a song. By 12PM yesterday (still hadn’t slept) I had something finished which I was pretty happy with. Shortly after I passed out and woke up at 7:30PM. I’ve decided to upload it and share it on here with you guys. 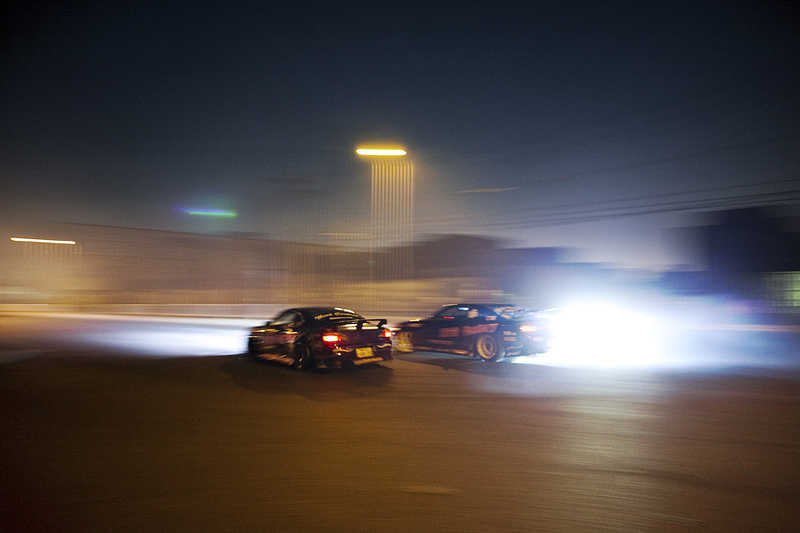 The first clip will be of this unforgettable night in Nagoya street drifting with some of the best, the D1 Mind Control S15’s. Some amazing photos and videos were captured and I really look forward to sharing it with all my readers. Stay tuned, for now I’ll let you froth over this image of them. One last thing, as you know I don’t watermark any of my images and I don’t really mind them getting around the web, but please if you do decide to share them on another sites please just give a quick link back to here or my Facebook fan page. Thankyou very much. 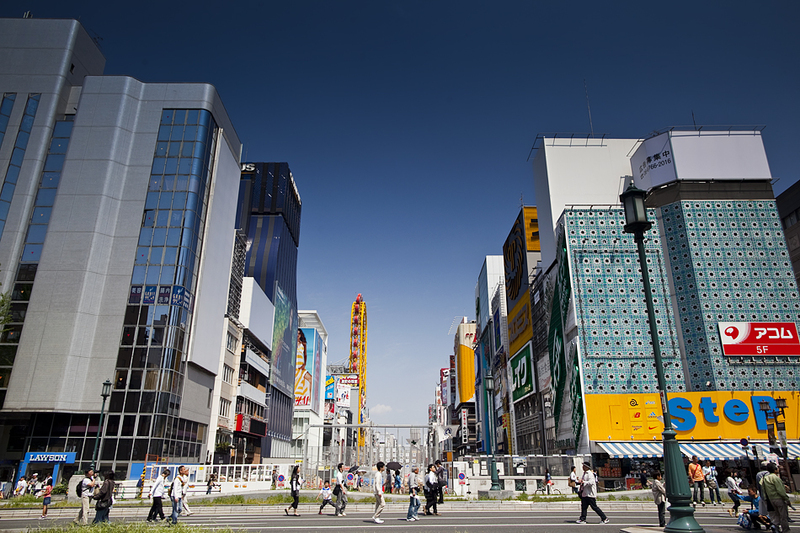 There is something for everyone in Japan. 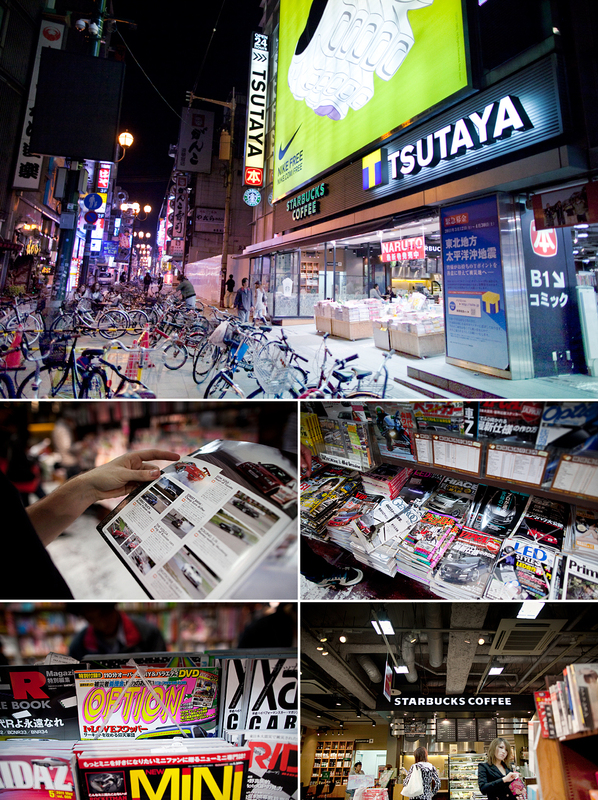 In the heart of Shinsaibashi, Osaka you’ll find a shop by the name of Tsutaya which is an oversized book store that ranges anything and everything. Walking into the shop it didn’t take us very long to locate the automotive section. Picking up the latest Drift Tengoku magazine I happened to find my images in Alexi Smith’s (Nori Yaro) monthly publication. I must admit it was a pretty surreal feeling walking into a Japenese store, picking up a Japanese publication and seeing my name printed under 3 images. Once again, thanks Alexi! Not only does this shop offer unlimited amount of magazines and books but one of the best coffee shops in the world a Starbucks. Don’t feel like going out? Head to one of these stores, pickup your favourite magazine and read over a late`. 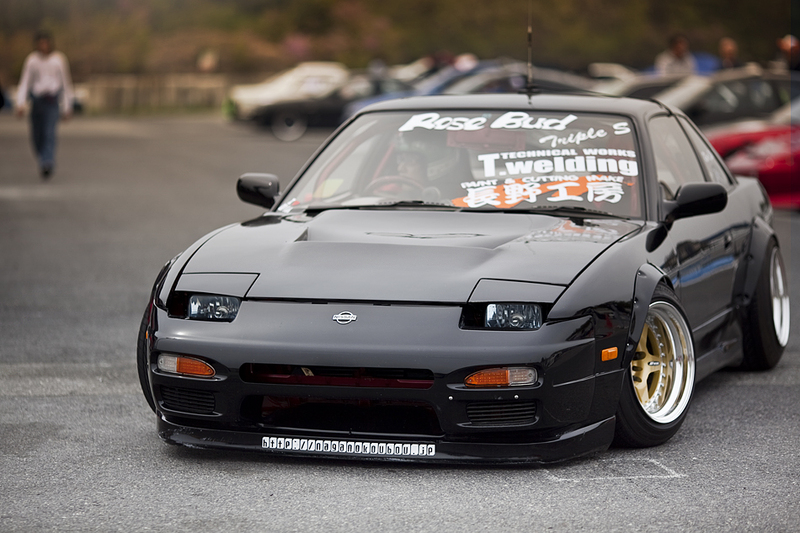 Just another reason to show how much I love Japan. Seeing as I’m not going to get my film developed for another week or so I’ve decided to post another photo from Bihoku. 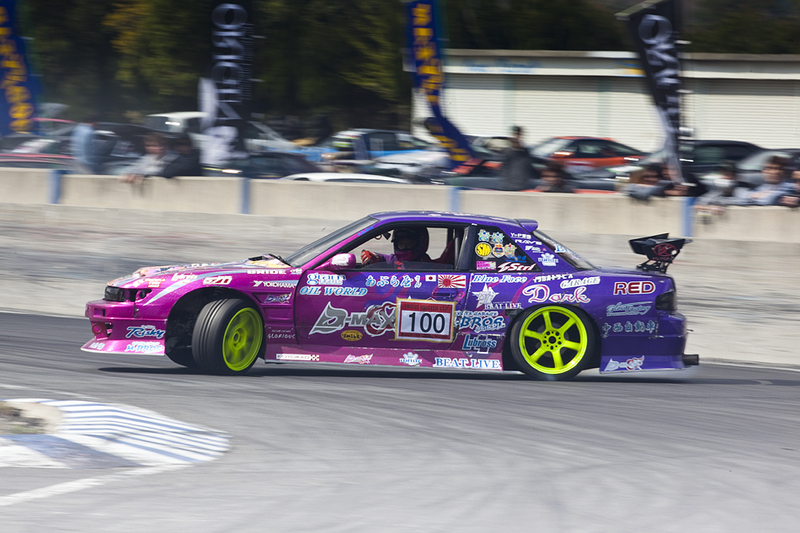 This time not of a bare track but TJ shredding his RPS13 into the first corner. On the day we decided to head down it was pretty quiet with around a dozen cars, hopefully next time I’ll get to experience some type of event, my pick would be MSC or Drift Muscle or just any larger grassroots meet. The definition of a backwards entry. Say hello to Nakamura, he’s looking right at you! Here is a sneak peak of 1 of the many workshops we visited. One of the days I think I counted 14 workshops within a 7 hour period, each shop was reasonably short and quick but it was well worth visiting all the garages we did. Here is a photo I took at the very first workshop we visited one morning, it was called Auto Service which by the looks of things specialises in circuit cars, mainly GT-R’s. This specific GT-R was parked around the corner alongside the workshop so it was just asking for a photo. 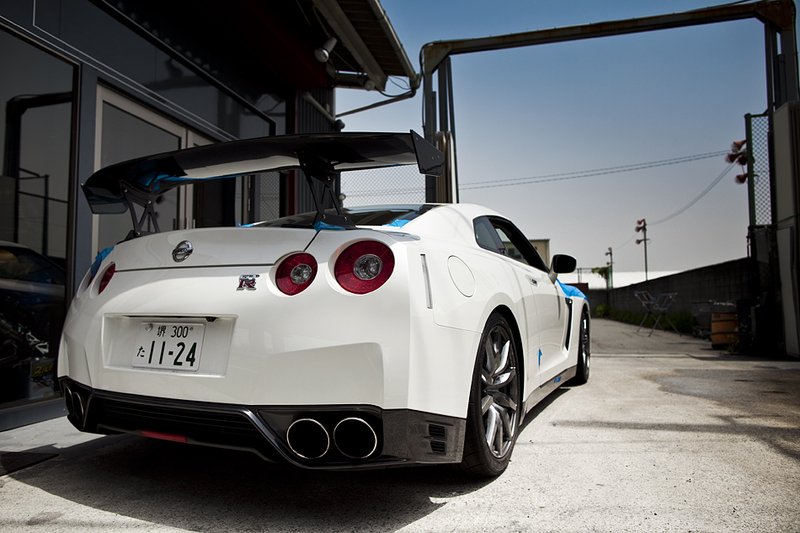 How aggressive is that rear spoiler. Ever since I rode in a 35 GT-R last year I was instantly addicted, I look forward to the day I own one myself. After the action had finished MeZ and I got close and personal with all the Team Burst guys including Nakamura, what you’re seeing here is a behind the scenes photo of what will be a part of the new Wreck `Em DVD that will be released towards the back end of this year. I snapped these photos off whilst MeZ was filming the large group walking towards us from about 15 meters or so away. The kids couldn’t resist being kids by jumping and screaming which made for a little excitement, I think this photo captured the moment quite well. A couple of nights prior to the Wreck `Em day at Meihan we visited just over a dozen workshops within a 12 hour period, one being Nagano Koubou. A couple of their cars attended the drift day but the standout was by far this gloss black RPS13 on the new 15″ Work C01. I grabbed this photo just as he was heading out on track, I’ll definitely be sifting through the galleries for more of this immaculate s-chassis. Dotonbori Bridge, Shinsaibashi, Osaka Japan. The ever so famous entry at Bihoku. 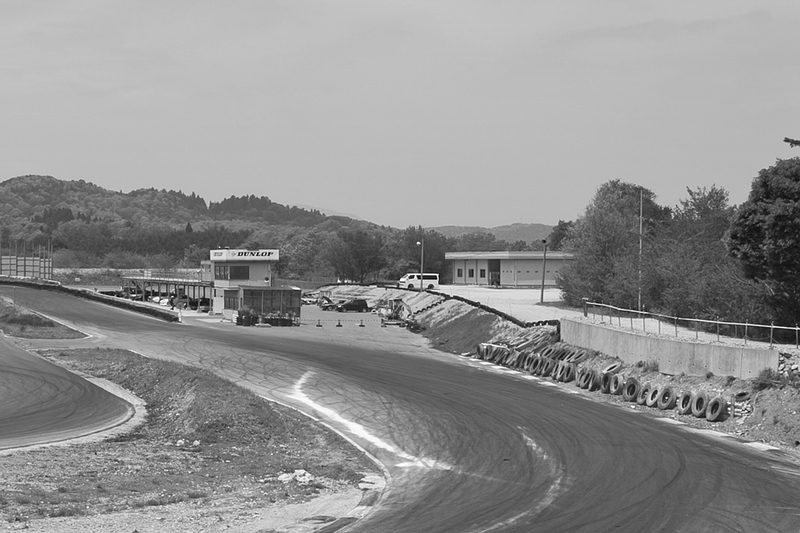 This track is located between Osaka and Hiroshima in a little down by the name of Okayama on the peak of a mountain. The drive up the hill is absolutely amazing, it’s pretty much what you’d expect any Japanese mountain road to be, tight hairpins the whole way up. 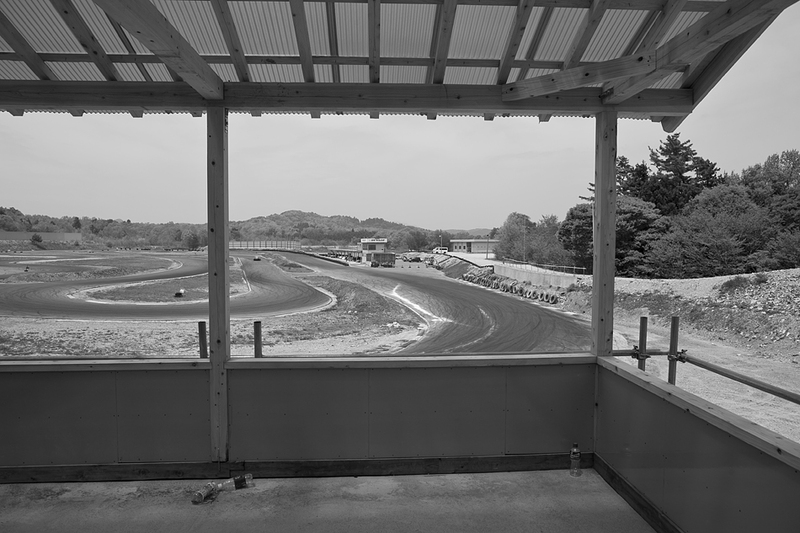 As usual the track was ever so surreal upon arrival, little did I know there were 2 circuits at Bihoku, A & B. This, the main circuit is B which I’m sure is the one you a familiar with. A circuit is a little different, if you take a look out the back of this one you’ll notice many trees which is where the circuit A is. 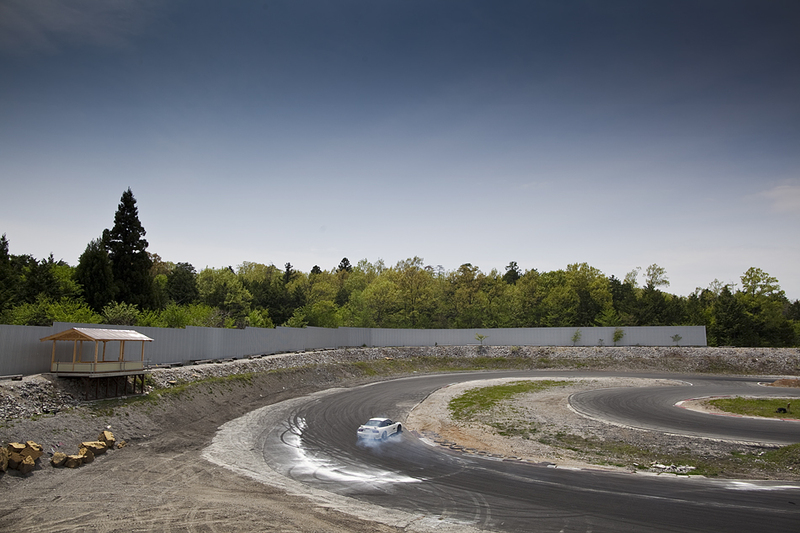 It consists of stupidly tight corners, driving through a little forest and jumping over raised crests. I can’t wait to show you photos of it off my 35mm. 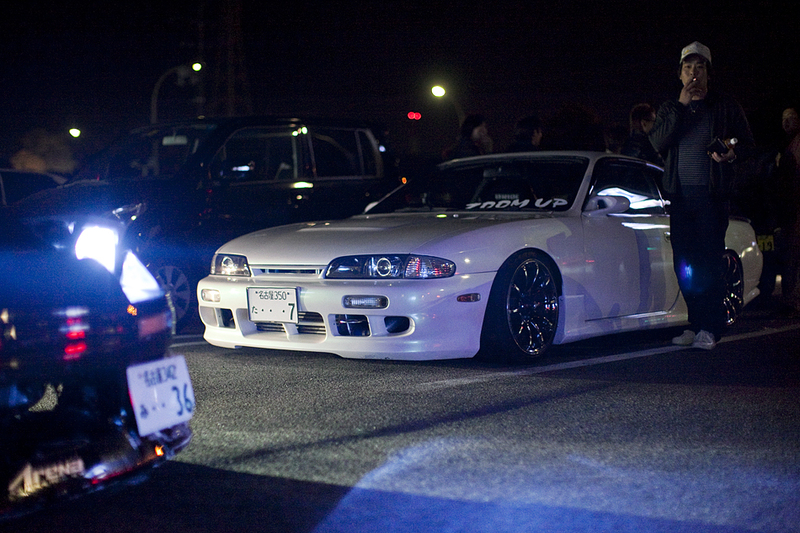 Here is a photo of a Zenki S14 parked up at the local Lawsons in Nagoya prior to streeting. This was definitely one of my favourite cars from the night. Looking forward to showing you a clip of this thing driving.